Dubai: It sure looks like one-of-its kind: the “J One” project on Business Bay is to be officially launched early next week. The project from Durar Group is located in Business Bay. Further details are to be announced on Sunday. The design is what makes it instantly striking, and a further proof that Dubai’s developers are using cutting-edge design as a marketing tool in itself. In doing so, they are also moving away from the “skyscraper is everything” mentality. The many Meraas helmed projects are stretching the envelope on what constitutes good design, and the privately owned Omniyat has also been a pioneer when it comes to such ventures. 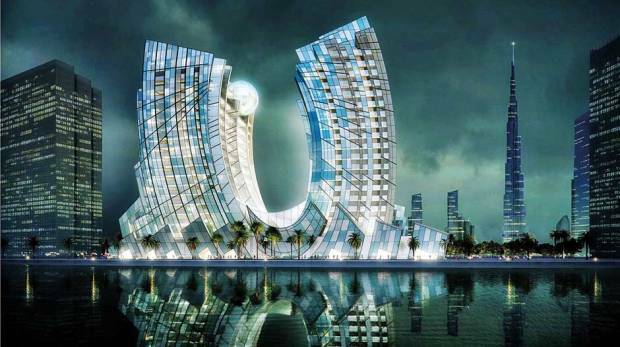 The latter was the first to go in for a Zaha Hadid authored project, with The Opus, also in Business Bay. And it is not just residential that is feeling the design beat… drive down Citywalk and Boxpark retail precincts and it becomes amply clear that the architectural tastes of developers and consumes have changed.